Now that it is fall, and less than 95° in the shade here in Texas, I’ve been craving the classic fall spices: ginger, cloves, and cinnamon. 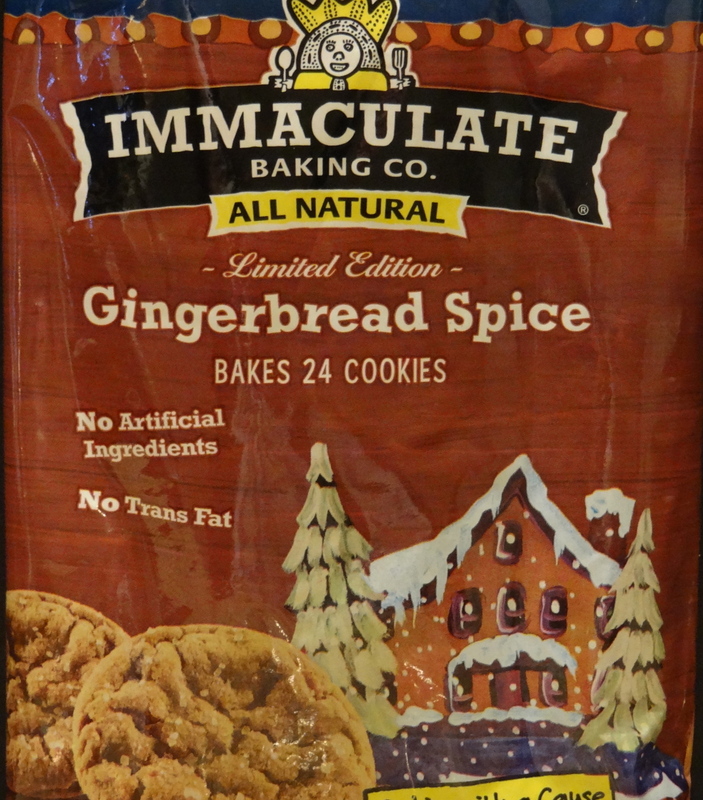 During an emergency run to the grocery store this week, I saw Immaculate Baking Co.’s Gingerbread Spice Cookies in the refrigerator case. Ready-to-bake refrigerated cookie dough is generally not on my list of desirable desserts, but Immaculate Baking Co.’s “all natural”claim piqued my interest. The ingredient list sealed the deal: unbleached flour, brown sugar, molasses, whole eggs, spices, and none I couldn’t pronounce! Warm cookies for dessert sounded really good, so as I finished up dinner preparation, I preheated the oven. When I opened the package, I found a small bag of coarse sugar for topping the cookies. Very nice touch! 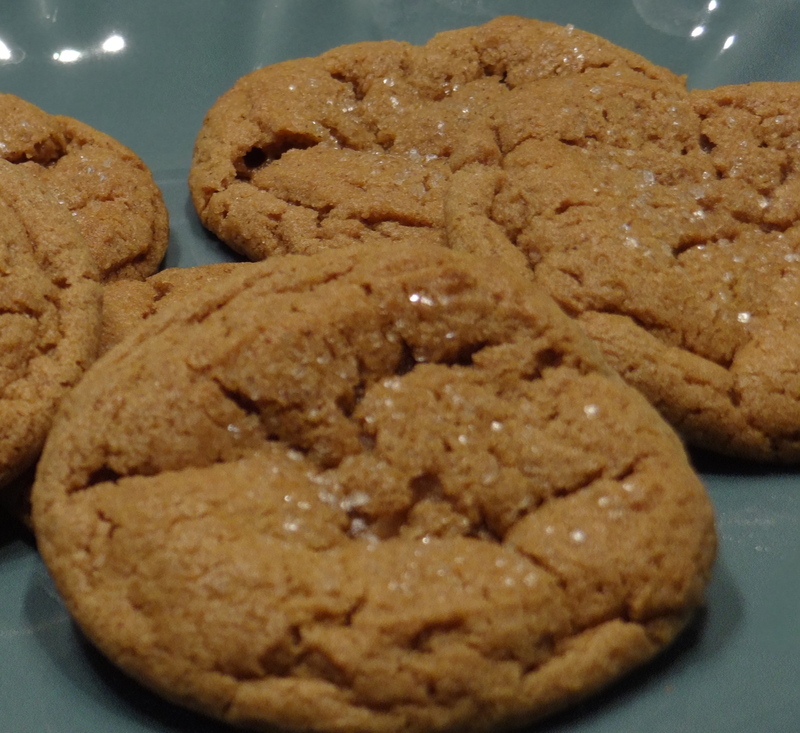 The gingerbread aroma soon filled the kitchen, they baked up beautifully, and the taste really exceeded my expectations for refrigerated cookie dough. In fact, Allen and I both thought they rivaled homemade cookies. We loved that we could bake them exactly to our preference (soft and chewy), and bake only as many as we wanted to eat while they warm. Scott Blackwell’s love for baking was inspired at age seven when he saw the movie, Willy Wonka & The Chocolate Factory. He paid for his college education by baking pies, then became one of the first Ben & Jerry’s ice cream franchisees. His next venture was operating his own restaurant, followed by a coffee and cookie business run from his garage. He was still headquartered there when he received an order from Williams-Sonoma. He has since moved on to bigger and better facilities! Scott’s love for baking seems equally matched by his love for Southern folk art. He is an ardent supporter of folk artists, featuring some of their works on Immaculate packaging. Various artists are featured on his website. Immaculate has also partnered with Cookies for Kids’ Cancer, a nonprofit organization that raises funds for pediatric cancer research, and encourages groups to organize bake sales for this very worthy cause. Immaculate’s product line includes a variety of natural and organic cookie dough flavors, gluten-free cookie dough, scones, pie crusts, crescent rolls, sweet rolls and biscuits. You can search for a retailer near you on their website, or order online. Try these great “cookies with a cause” soon! That’s so disappointing! That was definitely our favorite flavor!